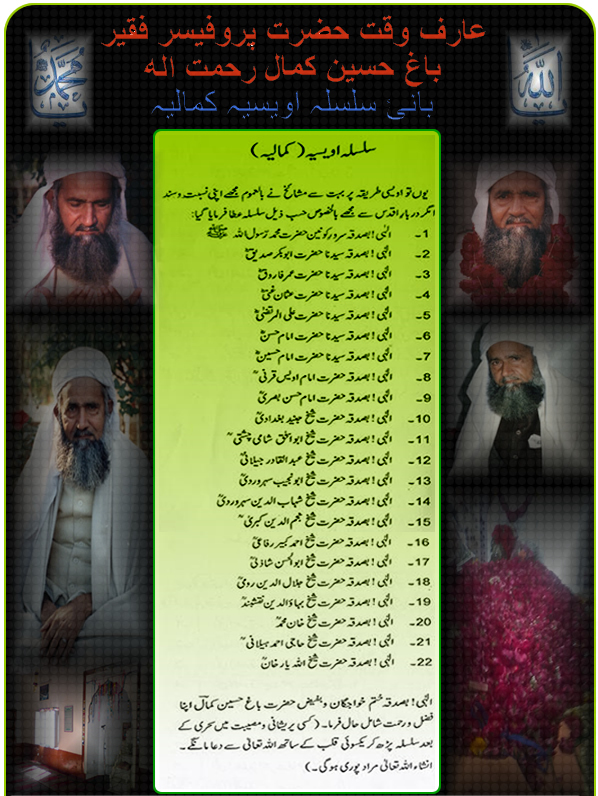 The author of this book is Arif-e-Waqt Professor Faqeer Hazrat Bagh Hussain Kamal (RA). This book is in urdu language. The author of this book is Arif-e-Waqt Professor Faqeer Hazrat Bagh Hussain Kamal. This is the english version of Haal-e-Safar. The author of this book is Hazrat Qazi Murad Kamal (current silsila leader). This is the combination of Hazrat G's lectures & instructions. This is the poetry book by Arif-e-Waqt Professor Faqeer Hazrat Bagh Hussain Kamal. This book is in urdu language with good quality pdf file. 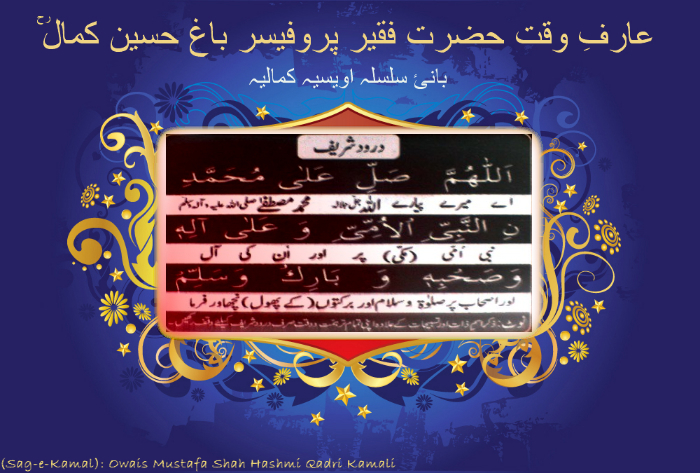 This is a small booklet which contains auraad o waaif that have been given by HAZRAT G to his companions.